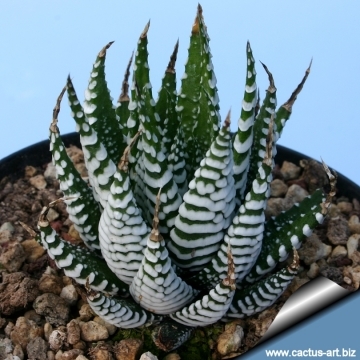 This is probably the best cultivar of Haworthia attenuata selected by Japanese growers, it is a beautiful plant with strikingly marked leaves on the upper-sides with white dots and very large white stripes on the under-sides. 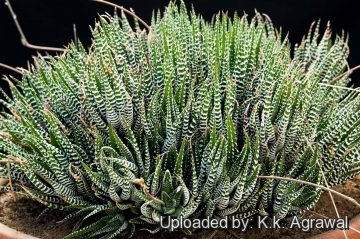 Description: Haworthia attenuata cv. 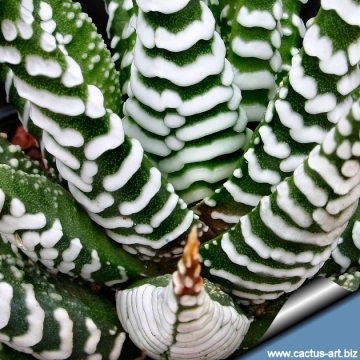 Wide Zebra is a stemless clustering perennial-succulent, that eventually form large clumps. 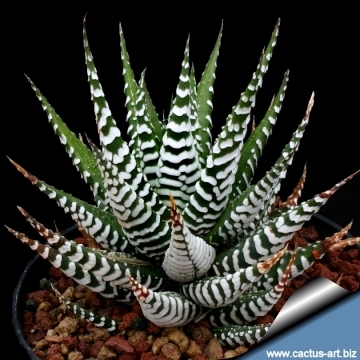 "Wide Zebra" probably is the best cultivar of Haworthia attenuata selected by Japanese growers. 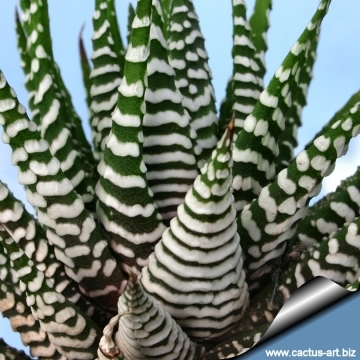 It is a rather large from with stiff deep green leaves forming rosettes 10-15 cm wide. 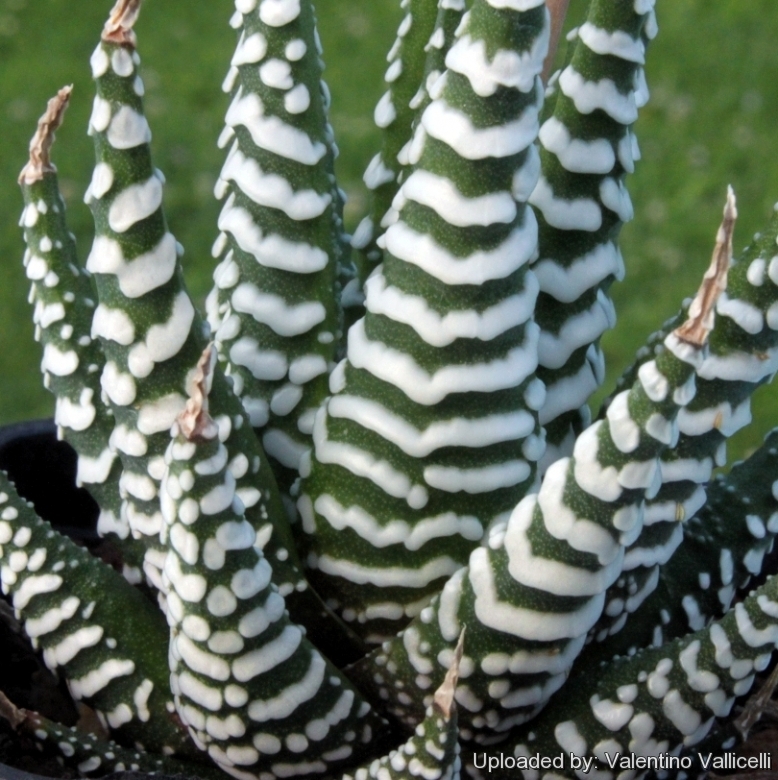 The leaves are strikingly marked on the upper-sides with white dots and white stripes on the under-sides. With time it will form dense cushions or mounds up to 40 cm in diameter. Rosettes: 12 cm diameter, 10-15 cm tall. Leaves: Dark green, pointed and strikingly banded. Tubercles are "patterned" on the upper surface of the leaves. The lower surface of the leaves have large white transverse continuous bands of tubercles. Bloom time: It can be ever blooming if you snip off each bloom when it dies. 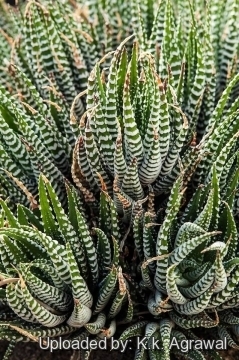 Cultivation and Propagation: They are of easy cultivation, which makes them a good houseplant, and can be an excellent subject for the beginning succulentophile (it can grow easily on window sills, verandas and in miniature succulent gardens where they are happy to share their habitat with other smaller succulent plants, or in outdoor rockeries). 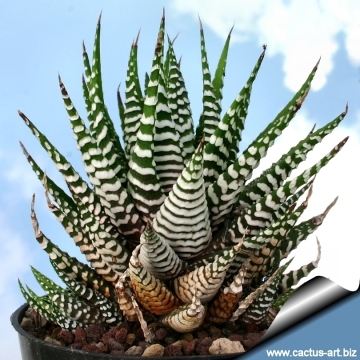 The plant needs light shade to shade, but will take full sun part of the day. 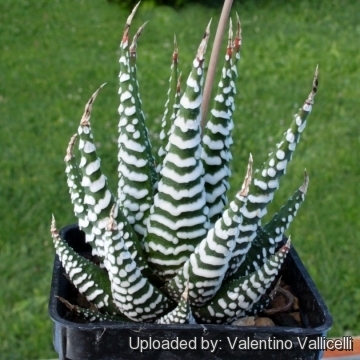 (with some sun exposure the leaf develops a nice reddish tint and remains compact) They are tolerant of a wide range of soils and habitats, but prefer a very porous potting mix to increase drainage. During the hot summer months, the soil should be kept moist but not overly wet. The plants are fertilized only once during the growing season with a balanced fertilizer diluted to ½ the recommended strength. During the winter months, water only when the soil becomes completely dry.